It seems almost every carrier now has an unlimited data plan, and free Wi-Fi is now available in more places than ever before. If you want to be connected, it has never been easier — but that still doesn't mean that everyone can stream as much as they please. Many of us don't have an unlimited mobile data plan. Some of us are stuck with monthly limits or are trapped in areas without access to Wi-Fi. We deserve to stream on-the-go as much as anyone else! So what are we to do? Well, if you want to get your Hulu fix wherever you are, you'll need to learn how to manage your video quality. You don't want to give yourself a crazy data bill at the end of the month, so using as little data as possible when streaming is key. To make sure you're conserving your data while streaming Hulu, follow the steps below. Auto is not recommended for anyone looking to conserve cellular data. When Auto is selected, Hulu will change your video quality depending on the strength of your cellular connection. The stronger your cellular connection, the higher the quality will be, which means Hulu will use more of your data. For those focused on uninterrupted streaming experiences, Auto might be the way to go. Rather than stopping to buffer, Hulu will drop the video quality, so you can keep streaming. This is a bad method for any quality-purists out there, but there are some who prefer the binge-sessions to go uninterrupted, no matter what. If you're trying to limit your data use while streaming, low is the way to go. Hulu will stream your video in the lowest quality possible. Your video stream won't look great, but at least your cell phone bill will thank you. Medium is exactly what it sounds like — Hulu will set the video quality somewhere between its lowest and highest settings. Hulu isn't very clear what resolution or stream size "medium" means, so we can't completely recommend it as an option to those looking to save on data. But if you're a conservationist who also can't stand the poor quality of the "low" setting, you might find a happy medium here. High is completely unrecommended for those with limited data plans. Hulu will stream your content in as high quality as possible, putting a strain on your data plan. 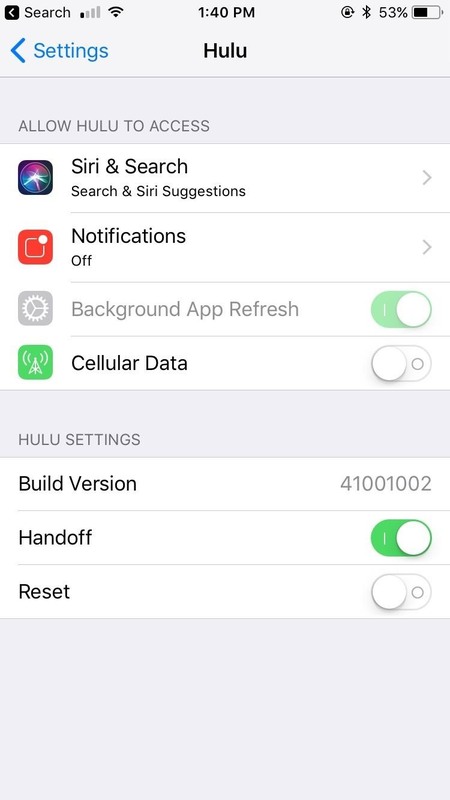 Hulu provides no information on how much data will actually be used by these settings. This article from 2014 claims that streaming in HD will take up 650 MB per hour, but there's no way to corroborate that figure. To be safe, data-savers, stay away. If you have an unlimited plan, you still might want to opt out of the highest video quality. Depending on your network speed, Hulu may have to pause the stream to keep up with the quality. Give it a go, but you may find your viewing of The Handmaiden's Tale not to be as smooth as you'd like. Hulu hasn't been kind to Apple when it comes to data management. If you're on an iPhone, you'll find you have far fewer options to manipulate your video quality. 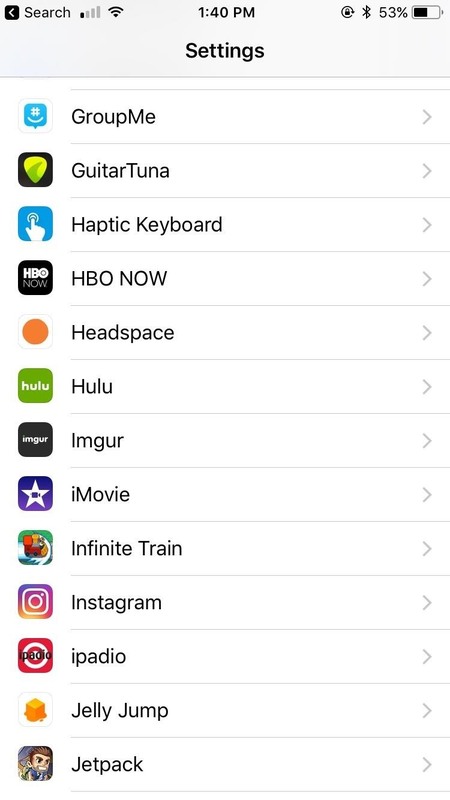 To find these options, tap the display while streaming a video in the Hulu app, then tap the gear icon in the bottom-left corner of the display. Like Android, you get an Auto setting. Don't use this if you're looking to conserve data, or if you're looking for a steady video quality throughout your streaming experience. SD = standard definition. Again, Hulu doesn't offer much in the way of specific numbers, so I can't say for sure what this video quality truly is. But I think it's safe to say the quality is somewhere comparable to Android's low or medium settings. I mean, who would consider 480p or less high quality? Unfortunately, those are the only two video quality options to choose from. It doesn't make sense to me. I've tried both Auto and SD, and, honestly, I can't tell the difference. If Hulu only offers one video quality to its iPhone customers, that's pretty disappointing. To be safe, I'd still stick to SD over Auto while on cellular. At least then you know Hulu won't be increasing your quality without your knowledge. One thing Apple has over Android is the ability to disable cellular playback in Hulu altogether. Just go to Settings -> Hulu and disable the switch next to "Cellular Data," then your Hulu app will no longer be able to stream videos while you're connected to mobile data. Fret not, however, because you can still stream all you want while on Wi-Fi. Those with unlimited plans need only worry about the speed of their network, so their stream is a healthy balance of high quality and smooth playback. But for us with added limitations, we need the methods listed above. Follow them, and hopefully, you can make it out of your billing cycle unscathed.